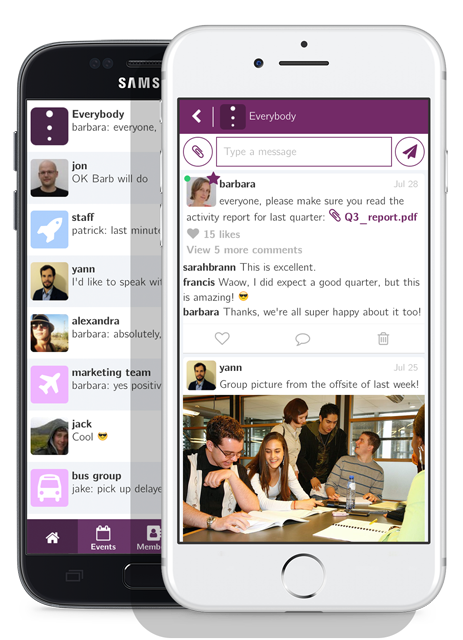 Use your group communication app to broadcast instructions, have private or group discussions, and email important announcements to your people. 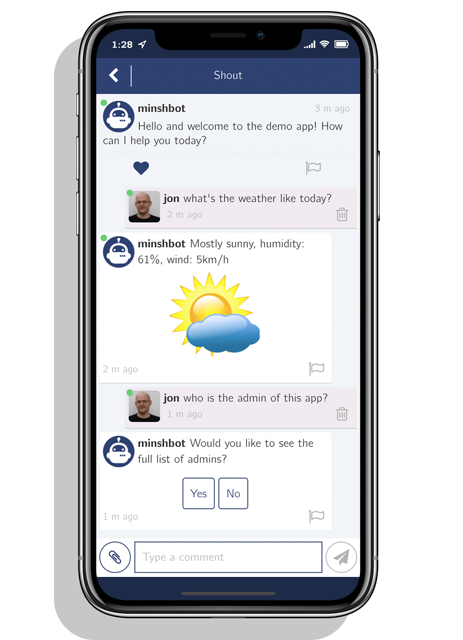 Automate some of your processes using a custom-made chatbot: Minsh is built on an infrastructure that allows us to develop personalized chatbots for each app. Contact us to learn more! Your private messaging app also features a calendar. Your people are notified about new events, can join them, and share their feedback. The directory shows all the nearby users. 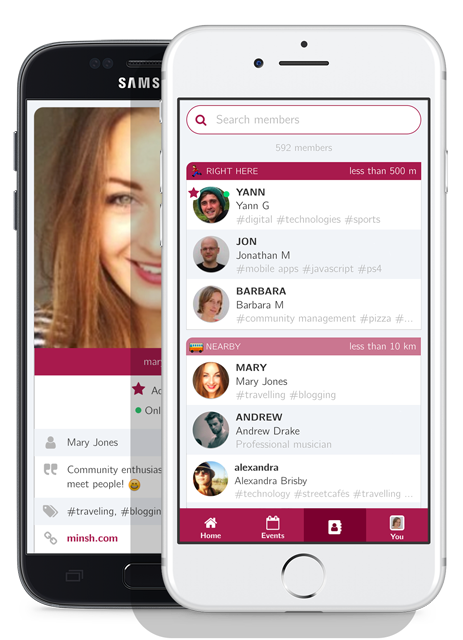 It allows to search for specific people, access their profile, and contact them. 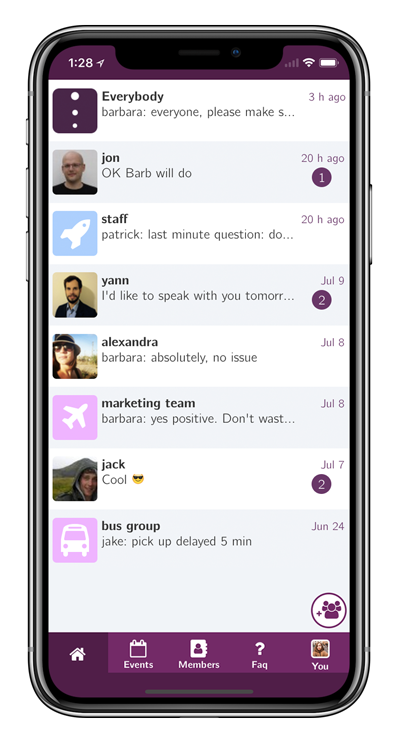 Automatically notify all your people when you post a message or create an event. Share PDFs, pictures, videos and all sorts of documents. Get weekly usage reports and manage your data from your web-based dashboard. Only authorized people can access the content. GDPR compliance on all pricing plans, HIPAA compliance on selected plans. Your app is a dedicated standalone solution with your brand. 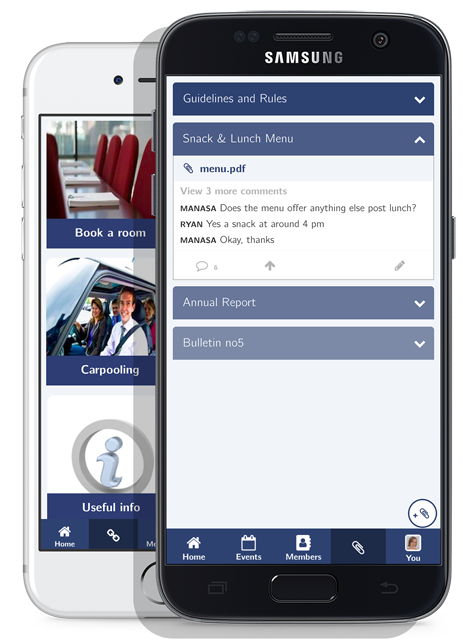 about functionalities and updates to continue to improve this already great design. your commitments. Congrats on an outstanding customer service! I can't imagine working without it. 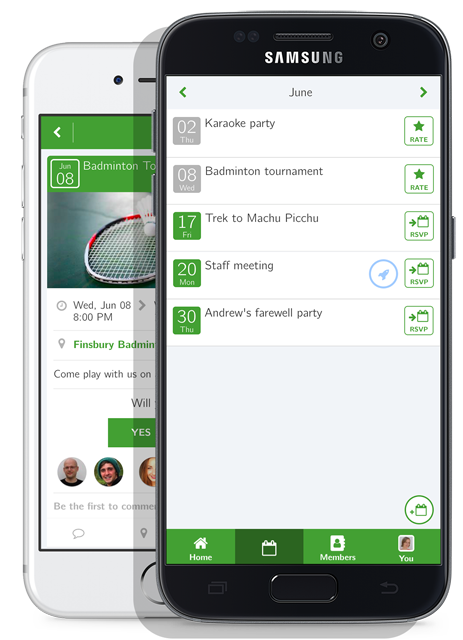 Download our free demo app on your mobile phone, or directly test it from your web browser. Play around with it, send messages, create events, groups, and imagine what it could be like with your own branding!